1. 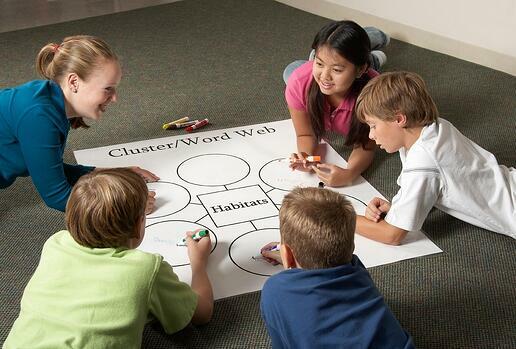 Classroom Idea: Group Presentations - Have groups fill out worksheets to complete an assignment, then blow them up to poster size and allow them to present to the class - OR - Heavy on Homework? Utilize a student worksheet and blow it up to have the class complete answering the questions as a group! 2. Classroom Idea: Grammar Learning - Make a copy of a page out of a book the class is reading, enlarge it, and have them find and circle different sentence structure elements as a group, such as the subjects or verbs - OR - Working on Reading Comprehension or Studying Literature? Use the book page enlargement to point out parts of the story where the characters' symbolism is evident, or what the class should be learning from a certain excerpt. 3. 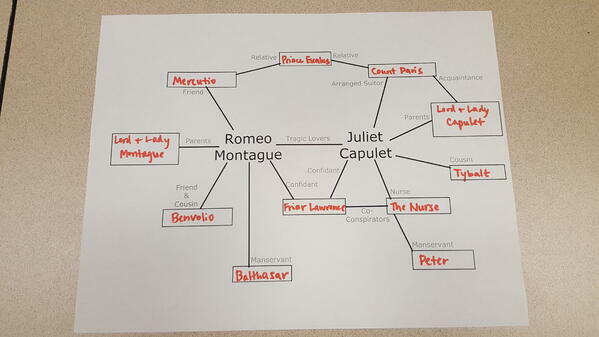 Classroom Idea: Character Maps - Display a venn diagram or character map poster in front of the class to discuss similarities, differences, and connections between characters in a reading, or a Story Map explaining the setting and parts of a story that you discuss and fill in as a class, then print handouts to give to the students as their study guides! 4. 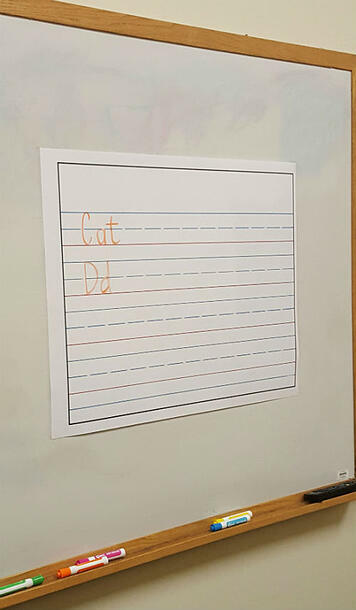 Classroom Idea: Handwriting - Take a piece of writing paper, enlarge and laminate it (use the VariQuest Cold Laminator 2510), and utilize for demonstrating creation of handwriting elements with whiteboard markers while students recreate what's being shown in their own penmanship books at their desks! 5. 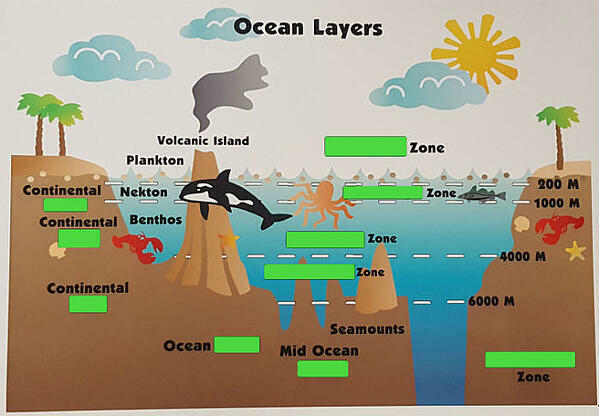 Classroom Idea: Worksheet Answer Keys for Peer Review - shrink a poster-sized "answer key" creating student worksheets, covering the answers to "bones of a skeleton", "planets in the solar system", or ocean layers (like the below!) where students are to fill in their responses individually. 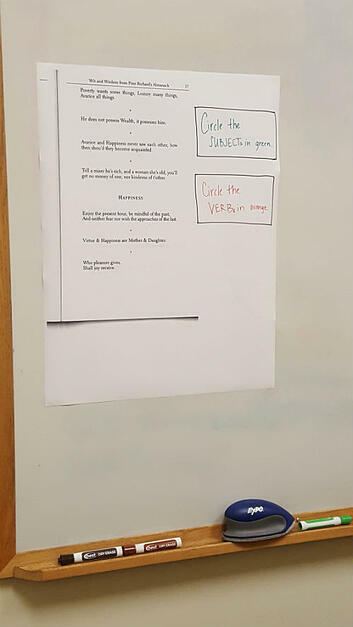 Then as a class, display the covered-answer poster and go through the correct answers one-by one, having students peer-review each others' work. 6. Classroom Idea: Foster Individual Studying Efforts - scan original collaborative mind map posters and shrink them to individual size for small study guides or adding to interactive notebooks. 7. School Building Idea: Safety Procedures - You've got posters of school floor plans and evacuation instructions in the hallways, but what about classrooms? Scan to shrink down and create multiple 8 1/2 x 11" copies for each of your staff members' classrooms with ease. 8. School Building Idea: Sport/Extracurricular Tournaments - Print out a generic tournament bracket for sporting and competition-activities and blow it up to poster size for displaying and updating for fans throughout the day! 9. School Building Idea: College Visit Posters - Colleges often send flyers to promote their representative school visits, so scan and enlarge a flyer to poster-size to properly promote throughout the hallways in encouraging the exploration of post-secondary options! 10. 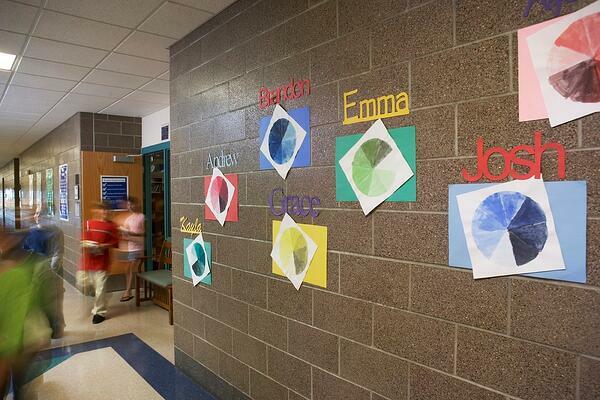 School Building Idea: Welcome Posters - have your elementary students create 8 1/2 x11 art project "welcome" drawings and blow them up to poster size for parent night, or Enlarge Reprints of Original Student Artwork to hang in hallways to display talent and inspire student creativity! BONUS! Teacher PD Idea: Collaborative Professional Development Sessions - use thinking maps with your Professional Learning Community (PLC) for brainstorming sessions, then scan and shrink the posters so each member has their own copy. And these are just a few ideas! We know our customers have endlessly creative minds, so we'd love to see what you come up with. Tweet @variquest with your photos, so we can showcase the great things YOU do! 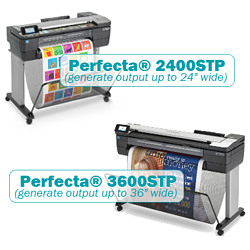 For more information on the Perfecta STP Series Poster Design Systems, visit our website or schedule a no-obligation meeting to discuss further how the VariQuest® Software, paired with our Perfecta Printers, could benefit your school!